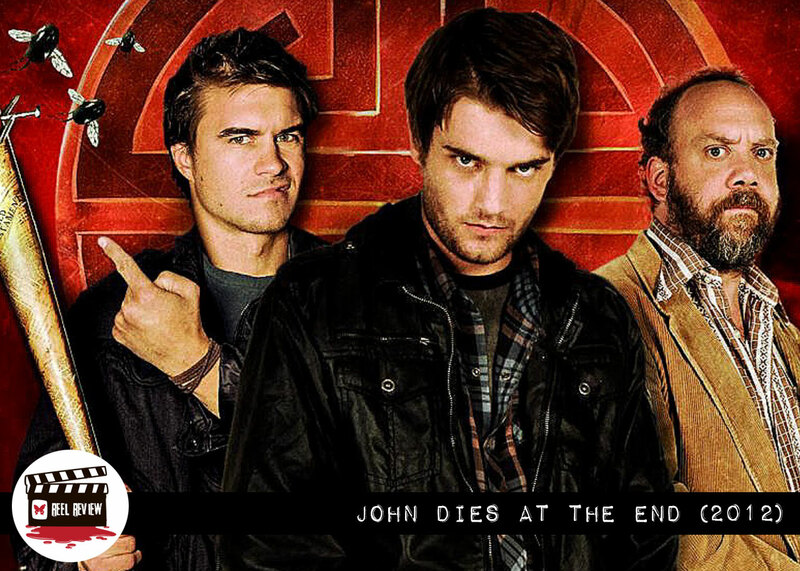 “John Dies at the End” is a surprisingly great, perfectly cast book-to-film adaptation that effectively captures the weird charm of the novel. My criteria for a quality horror movie includes: how many people get shot or stabbed, the number of gory moments, and whether or not we care if the characters make it out alive. Although nobody gets stabbed in John Dies at the End, there is a really great shooting scene, there is a lot of gore, and I really wanted Dave and John to survive. Turning a book into a film can’t be an easy thing to do. You have to figure out what scenes to keep and which to cut, cast actors to play characters who might have only been described in a few sentences, and work out how to show some things that are easy to put on paper, but hard to put on the screen. I think this film did a wonderful job with all these tasks. As I mentioned in my review of the book, John Dies at the End is a weird story. When I went into the movie, I knew there was a lot that wasn’t going to make it into the movie. All in all, the scenes that were cut in no way negatively impacted my opinion of the film. I’ll admit, though, I did have a running list in my head of what I thought was going to be in the movie and what I didn’t think they would even try to show. I was pleasantly surprised by how many of them actually did make it into the film. Two favorites were the meat monster and the scene at the police station where things really start getting weird. They cut the scene in the ballroom that has the fight between Dave and a fellow called Shitload. It’s such a grandiose thing, I didn’t feel it would translate well onto the big screen, and it didn’t really do a whole lot to move the story along anyway. No loss. 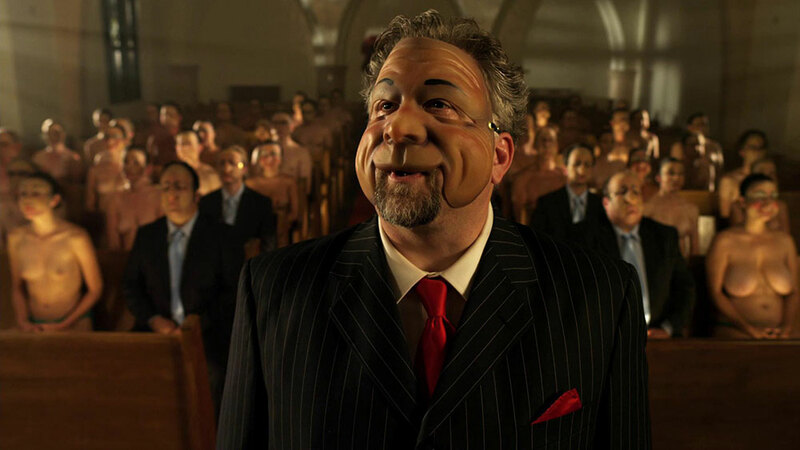 The movie starts the same way as the book: Dave offers the viewer (or reader) a riddle. To my delight, this approach continues throughout the entire movie: Dave narrating what he is thinking while the scenes go on around the voice over. I thought this was a clever way of showing us how Dave felt about what was going on and giving us a deeper understanding of his reactions. The casting in this movie is amazing. 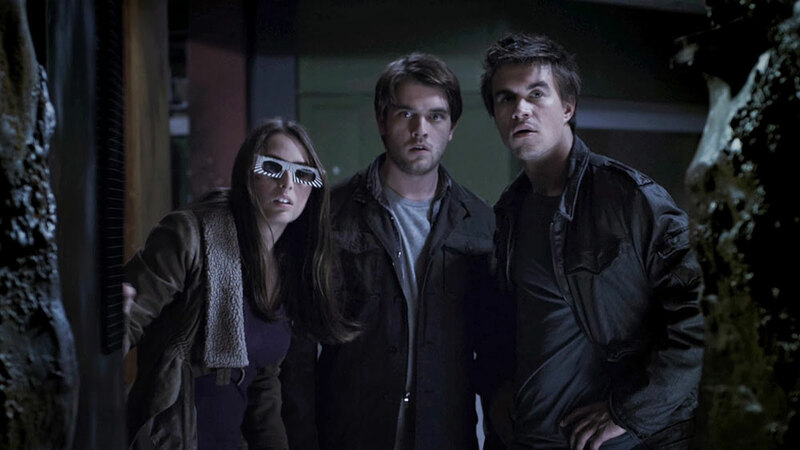 I can’t imagine anyone better to have played them than Chase Williamson and Rob Mayes. Williamson’s portrayal of our hero is exactly what I’d hoped for: he spoke in a deadpan, seemed like he wasn’t interested in any of the weird things that were happening, and allowed me to care just a bit more about the character. Similarly, Mayes’ embodiment of John was great: he’s the stereotypical “cool guy” and has some really great facial expressions that say everything while Dave does the talking. It’s one of the few movies that I don’t want to take my eyes off of for a second for fear of missing one of those expressions, or some other amusing visual moment (like the ominous “Eat your dog” message at the abandoned mall). I think the thing that makes this movie such a success for me is that it’s as weird a movie as it was a book. It’s weird enough that it feels low budget, and that works to the movie’s advantage. The use of lighting, and the cinematography in general, genuinely made me feel uncomfortable and reminded me just how weird the stuff that was happening was. Slasher films, psychological thrillers, and serial killer documentaries are my favorites. My introduction to the horror genre was the first season of American Horror Story, which was soon followed by Child’s Play. I have a bachelor’s degree in English with a focus on writing. Favorite authors are Isaac Marion and Craig DiLouie.